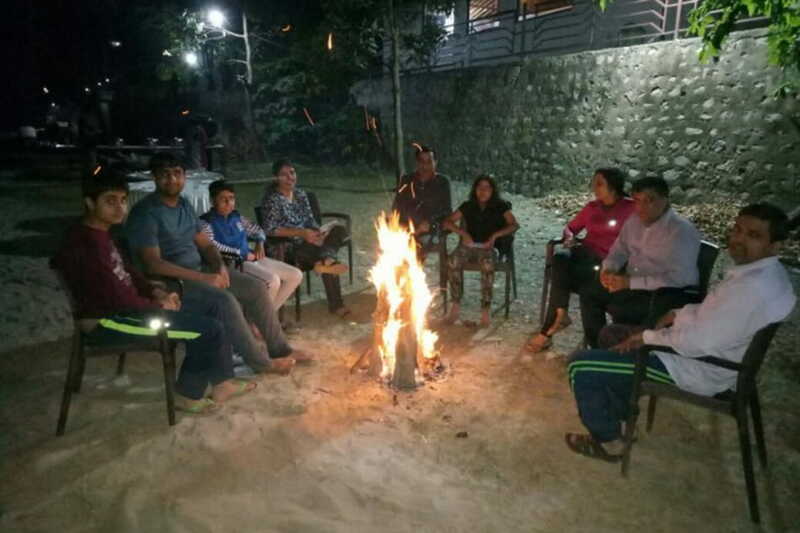 Camping in Rishikesh - Its a large campsite in total wilderness. Minimal human disturbance. At present it can accommodate over 10 tents and still have a lot of open space. 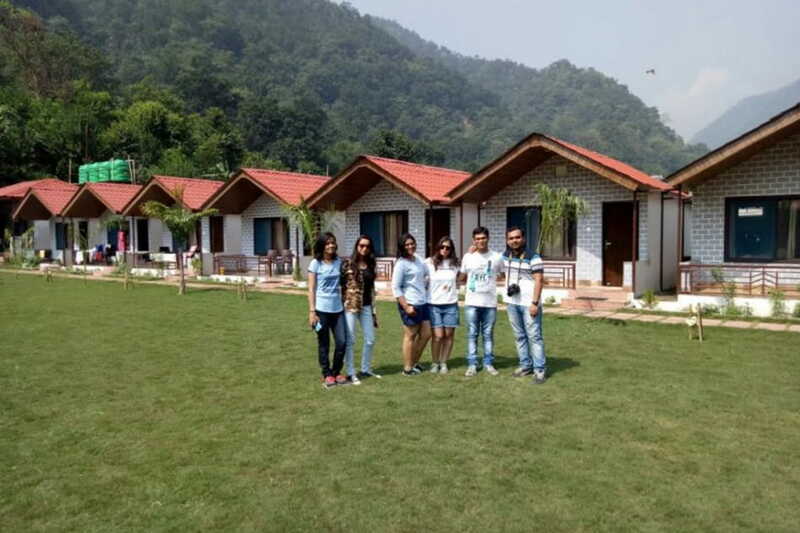 Witness the thrilling experience of camping in a jungle can be well realized at the Jungle Camp of Rishikesh. 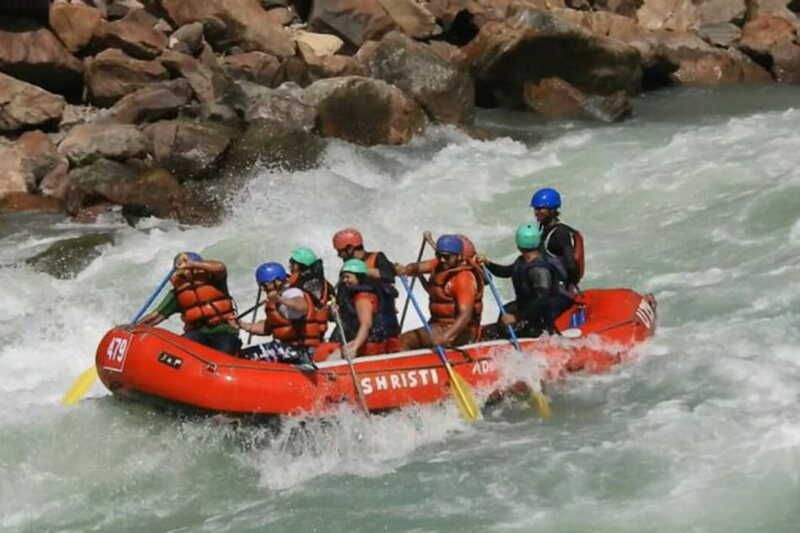 The scenic beauty of the jungles of rishikesh offers a sense of freshness in the life making it more energetic and lively.Rishikesh Camps lies at the scenic confluence of the Ganga and Hem rivers in the Himalayan foothills above Rishikesh. Accommodation for 1 Nights 2 day in Deluxe Cottage with Attached washrooms. 3 Buffet meals: 1 Breakfast, 1 Lunch, (veg) 1 Dinner. (Veg/Non-Veg) AM PM Tea with cookies. Personal Toilet accessories, towels, soap etc. Sufficient clothing: T-shirts, Shorts for rafting. Warm Clothing (for winter sisson) for the morning – evenings. Hats, Goggles etc. Guests are requested to carry along their proof of identification and produce it whenever required. 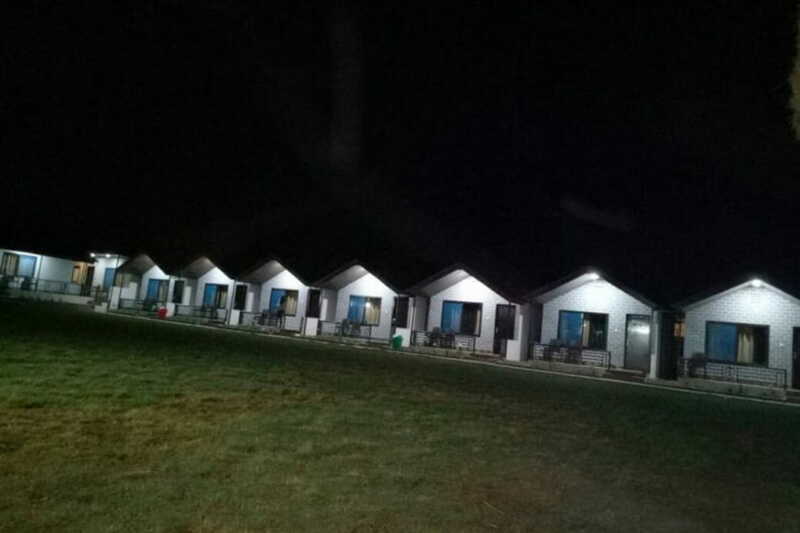 Deluxe Cottages with attached washrooms. Deluxe Cottages fitted with Fans + Air Cooler. Camps provided with Beds, Linen, Quilts, Pillows. Electricity, Mobile / Camera / Laptop charging point in Camps. Situated in a peaceful valley on the outskirts of Rajaji National Park. River Heul flows at 10 steps from the camp. River Ganga is at a Hike of 500 Meters. Beautiful waterfall at a hike of 40 minutes. Large dining area with TV. Food served in buffet style. Conference area for corporate groups. Electricity with power backup/generator/inverter facility. Welcome Drink: Our Special Malta Squas Cold Drink. Breakfast: Aaloo Parantha / Poori-Bhaji / Chola-Bhatura, Bread Toast / Veg Sandwich, Omelet / Egg Bhurji / Boiled Egg, Curd, Pickle Jam, & Tea. Lunch (Veg):-Rattapani Special Rajma Raseela / Punjabi Daal Tadka / Daal Makhani, Seasonal Veg, Raita, Chapati, Rice, Green Salad, Papad, Pickle. Morning / Evening Tea: Tea with cookies. Bonfire Snacks : Mix Veg Pakodas, Peanut Chat / Chana Chat, Papad, / Crispy Chilli Potato / Soya Chilli.